Alcoholic shakes, which are commonly referred to as tremors are physical conditions which are evident of abrupt withdrawal from long-term drinking. Acute alcohol tremors are dangerous and can expose a person to various health risks such as seizures and mental complications (Wernicke-Korsakoff syndrome). Let’s take a look at the relationship between alcohol and tremors. What are alcohol-induced shakes and tremors? What are the causes of alcohol shakes? What is the mechanism of shakes after alcohol emergence? What are the risks and dangers of alcohol shakes? Alcohol shakes are body tremors experienced when a dedicated drinker stops drinking alcoholic beverages over a period of time. Shakes from alcohol can be very light and only barely noticeable, or it can be pronounced in some cases. Alcoholic tremors are downsides of alcohol abuse which is set off on sudden withdrawal after a different period which can range from a few hours to days. So what causes alcohol shakes? Alcoholic beverages are known depressant and have addictive effects which often present itself in many ways. Side effects of alcohol abuse include the effects of overindulgence in drinking as well as the symptoms experienced during sobriety. Alcohol shakes after a night out is a withdrawal symptom which takes effect when your body tries to absorb this lacking substance which it has built a tolerance for. Sweating after drinking alcohol can also be a sign of an overactive sympathetic nervous system which is caused by an extreme craving. In the case of alcoholic withdrawal tremors, this symptom is caused by withdrawal from alcoholic substances for a period of time. This slightly differs from the alcohol shakes hangover which is stimulated by the substance itself, however, both symptoms are as a result of abstinence from drinking. 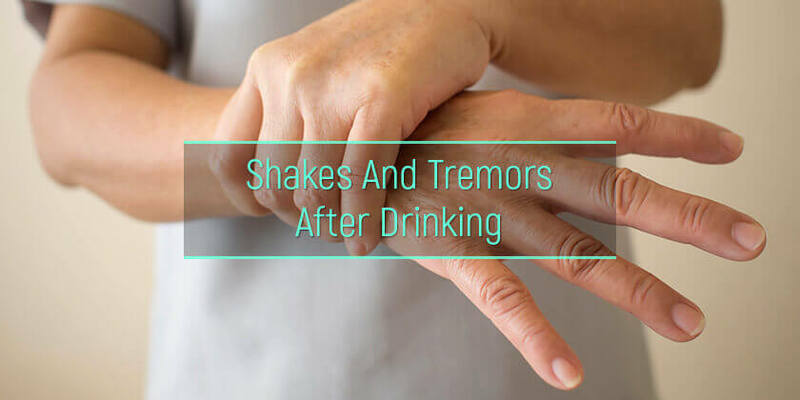 Essential tremors and alcohol shakes are closely related in that the essential tremor can be affected or worsened by drinking; however, this kind of tremor is mostly age and gene-related, and its causes are yet to be confirmed. Gamma-aminobutyric acid (GABA) is an inhibitory neurotransmitter that functions as a regulator for the nerve cells in the body; this means that everything related to bodily coordination is controlled by this system. Alcoholic drinks have a depressant effect, and this inhibits the functions of the neurotransmitter which partially numbs the body, leading to that feeling of intoxication. For dedicated drinkers, this is highly problematic as the brain has adapted to the constant presence of ethanol in the body to maintain fairly constant homeostasis. The complete inhibition of GABA due to excessive drinking has become close to normal for the brain nerves; hence, the sudden deficiency of ethanol in the body due to withdrawal means that the brain has to begin to reintroduce the production of GABA. As GABA activities increases it takes the body through a hyperactive spasmodic process such as hard tremors after alcohol. These changes result to alcohol withdrawal shakes and other symptoms which can begin after 5-10 hours after the last drink reaching about 48-72 hours and can last for a good number of weeks. Tremors occur typically in the limbs but can also affect other parts of the body. The feeling of anxiety may heighten trembling in this situation. This symptom usually kicks in 12-24 hours after the last drink and can persist for as long as two days or more. This condition can be characterized by extreme paranoia and seeing objects that are not present. Delirium tremens hallucinations are the most intense version of this condition and can last from 4-5 days or more. It presents with disorientation, loss of coordination and consciousness, aggressive behavior, sleep disturbances, dehydration, and inadequate blood circulation to the brain. At this point, highly potent alcohol withdrawal shakes remedies should be considered. Uncontrollable spasms such as extreme seizures may occur often ranging from 6-48 hours after alcohol indulgence. This condition can be fatal especially when neglected. Seizures are involuntary health issues that are dangerous as they can occur anywhere at any time. The patient may become a liability at work especially for those who work with heavy machines and highly fragile or delicate materials which can lead to breakage and various health hazards as well as loss of a job. These seizures affect everyday functions such as attending events, socializing, driving, and other regular engagements. Driving can be fatal as this can lead to road accidents. Quitting alcoholism may not be so easy to do without professional help. 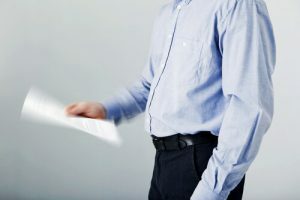 The “how to get rid of shakes from alcohol withdrawal” question is one that only a trained medical professional can answer, self-medication may do more harm than good. Some users often go for cold-turkey quitting to stop alcoholic shakes. However, this can be quite unpleasant and requires the counsel of a medical specialist. Alcohol shakes cure can be administered after proper diagnosis and carrying out essential tests such as blood cell counts, liver, heart and gastrointestinal health functions as well as nutritional deficiency evaluation. The first step on how to get rid of alcohol shakes is to seek medical help. One must be completely honest about their drinking history to get adequate treatment for alcohol dependence. There are many well-equipped rehabilitation centers in all parts of the country. A drug and alcohol addiction treatment center provides a serene environment where people with addictions can receive proper care and reorientation. These facilities provide substantial help on how to stop alcohol withdrawal shakes utilizing the safest methods and pharmaceuticals to ensure complete cure and reintegration or normalcy, enabling former dedicated drinkers to like an alcohol free life.